Tennis Elbow is very annoying, so it is important to know what is the best treatment for this condition and improve your quality of life. Tennis Elbow is not more than a tendititis in the area of the elbow and that usually is denominated of popular form like elbow of tennis player. Today it is a problem quite common in much of society and should be treated with great speed so that the thing does not go over. Today sit is usually treated by infiltrations of cortisone, which helps reduce pain in the short term but in the long term the problem remains causing the person to have sequelae for life. If you have tennis elbow, it is normal to have intense pain in the entire area of the elbow. It is undoubtedly the most common symptom of the tennis elbow. Just by picking up a glass , the person feels a strong pain on the outside of the elbow causing a continuous discomfort. If the discomfort persists over time and occurs without any movement, it is likely that the problem of such tendinitis is of cervical origin. 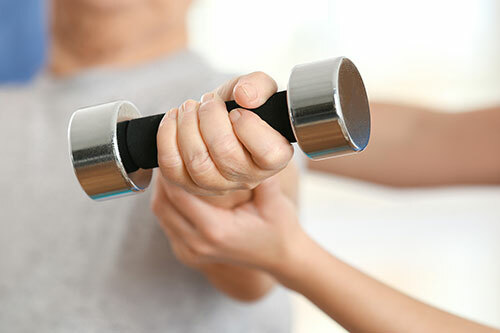 One of the most common causes for which the person may suffer the so-called tennis elbow is due to constant physical activity such as working on an assembly line. For many hours a day, the person forces the tendons of the elbow leading to this problem. People who tend to play tennis tend to suffer from this tendinitis when performing continuous movements with the arm and forearm, overcoming the muscles of that area of the body. Some fall or blow can also be the cause of this intense pain in the elbow area. A first measure when dealing with a problem such as Tennis Elbow is cryotherapy or ice application. With the cold the inflammation in the tendons of the elbow is reduced and immediately a little heat is applied to reduce the pain in the whole area . The second step of the treatment is the total rest for a few days that the person suffering from said tendinitis should have. Other measures that are usually taken to treat Tennis Elbow is the use of different anti-inflammatory products either topical or ingested. Elbow Physiotherapy or rehabilitation exercises are another type of ideal measures when treating this condition in the elbow. Call the best physiotherapist in Melbourne today at Physio AUS. As I have already mentioned, there is a bit of controversy about the use of cortisone infiltrations since, although in the short term they help to reduce pain, over time the problem does not disappear and it gets worse. In extreme cases of Tennis Elbow, a surgical operation may be performed in order to release the tendon from the bone. When it comes to preventing any type of problem in the elbow area, it is best to perform a series of well-executed movements that do not push the tendons to the limit. In addition, after performing some type of activity that is constant in the elbow area, it is advisable to restto avoid any kind of muscular problem . On the other hand stretching and previous massage are very beneficial to not suffer from such tendinitis. Tennis elbow or epicondylitis is a condition very present in a part of the population that must be treated very quickly by an expert in the subject to prevent the tendinitis is aggravated much more and the person in question end with important sequelae in a future.